We are a full service turnkey marine insulation company. We take insulating your projects very seriously. Starting with the initial call to us about your insulation needs and through the entire process, we have the experience and equipment to complete the entire project on time and within specs! We have been serving the marine industry, where the U.S. Navy is one of our valued customers, for a very long time and therefore has become an industry leader in marine insulation products and services. either to the side or below, you can see some of the many types of insulation projects we deliver on every day of the week! If you have questions or would like to discuss your marine insulating needs with any member of our design team, please do not hesitate to contact us today! Did you know that insulation is one of the most energy saving products available in today's market? Having properly insulated marine vessels, equipment, HVAC..etc, can reduce your energy consumption significantly! We are proud of their line of marine insulation products and services. 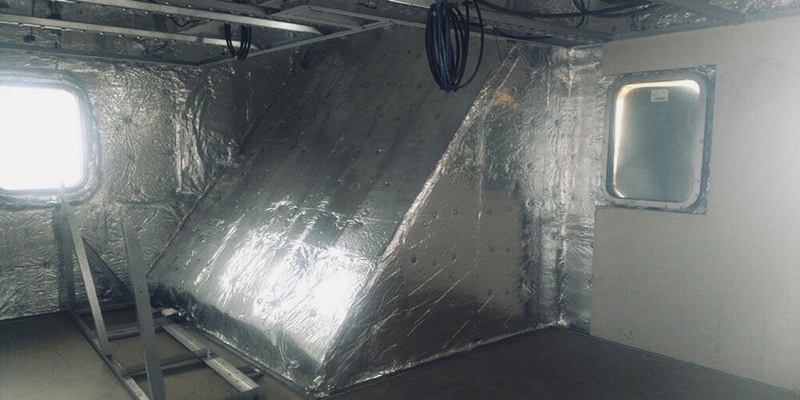 On this page you will find a few of our many insulation services we contract to install or repair on a frequent basis. If you have a project coming up or need repair work done to an existing installation, please do not hesitate to contact us today! There are many many feet of piping aboard a marine vessel. Many of these pipes must have good solid insulation to promote efficiency while the vessel is out of port. We are here to make sure you get the best of the best! Quality insulation to deliver the highest efficiency possible for your vessel. Have questions? Please contact us. Because of the many years we have in the marine industry, we should be your solution to any and all insulation needs for your vessel. An efficient HVAC system is very dependent on really good insulation. Power costs can vary greatly depending on the insulation value of your entire system. GMSM can do complete turnkey systems or make repairs on an existing system. Make sure it is done right! Call us today and lets talk about your repair or new installation. We are experts when it comes to refrigeration! As we all know, cold storage needs really good insulation. We are your credible resource for that insulation. A well insulated cold storage unit will run much more efficiently and keep those energy cost down! We can handle all of your cold storage insulation and refrigeration needs. We also happen to be an expert in both of these areas. Our refrigeration maintenance plans allows you the peace of mind you need in a very stressful environment! 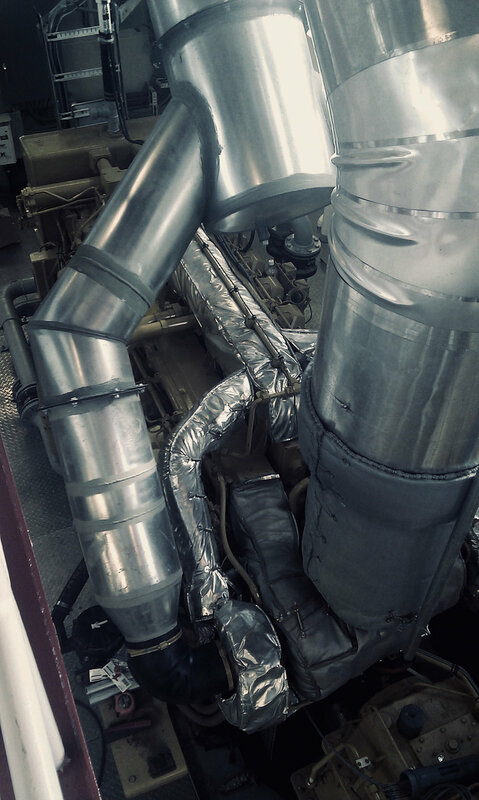 We can make your engines run more efficiently by installing the proper insulation inside your engine room! We have many years experience with standard and custom power applications. Insulation will pay for itself in reduced energy costs to operate your vessel. Take a minute and give us a call. We can come do an evaluation on your engine room to ensure it has proper and enough insulation! © Outfitters Marine & Industrial 2018.